It can be difficult to find all the ICB registration information. There are so many pages with different parts of the information scattered all over the web. This page has all the basic ICB registration information that you need to help you when it comes to registering for an ICB course. The ICB has 16 different courses you can register for. They have been carefully broken down into five different fields of study. These courses have been specially designed so that they give you all the skills you need to become a professional in that specific field. The five fields of study are Financial Accounting, Entrepreneurship, Public Sector Accounting, Business Management, and Office Administration. The ICB does not offer the courses themselves. All their courses are offered through other accredited providers. There are many providers, like Skills Academy, that have partnered with the ICB. Your exams are done through the ICB themselves and not your training provider. You will need to complete an exam registration form and pay an exam fee. The exam fee is separate from your course fees, to the ICB itself. You can click here to learn more about the 2019 ICB Exams. Exams are held at external locations so you should check the ICB map to find your closest venue. You can even register and pay for an exam on the ICB Learner Portal, which can also be used to find your exam results. The ICB does not have a fixed amount per course so when registering you have to pay per subject. You also need to pay your registration fee, exam fee, assessment fees, and ICBA student membership fees. You can see a full list of fees and an explanation of how they work and remember that the ICB fees change annually so be sure to check what the fees are each year. Where can I Find the ICB Registration Forms? To register for your course you can contact one of the training providers that have partnered with the ICB. They will be able to provide you with the relevant forms. You can find the ICB Student Information form and the ICB Exam Entry form on the ICB website. 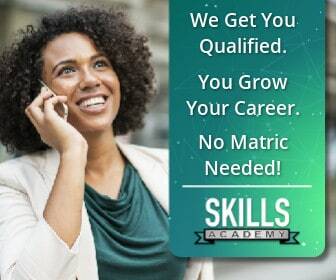 Skills Academy is one of many accredited ICB training providers so call them toll-free on 0800 39 00 27. One of our course consultants will help you register. Sign up and start your career path today!